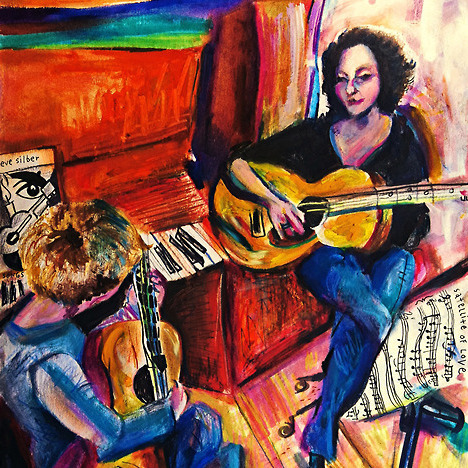 Eve Silber works extensively as a vocal coach and guitar teacher for students of all ages in New York City. Lessons take place in West Village studio or the student's home. Determine a goal and meet it. Open possibilities and have fun. Relax and become proficient. I will adapt to your learning style. One who takes my recommendations on what and how to practice, and is patient with themselves. GUITAR: Dave Van Ronk, Frank Christian, Joe Pass, Doc Watson, Neil Young, Beatles, Bob Marley, Charlie Christian, and many more. VOICE: Sara Vaughan, Ella Fitzgerald, Anita O'Day, Johnny Hartman, Elly Stone, Mahalia Jackson, Edith Piaf, and many moe.